Prof José (Pepe) Alcami is the director of the AIDS Immunopathogenesis Unit at Instituto de Salud Carlos III and Coordinator of the Spanish AIDS Research Network (RIS). The AIDS Immunopathogenesis Unit works in different projects focused in HIV pathogenesis, mainly in the study of the mechanism of HIV latency and reactivation, the interaction between the HIV-1 envelope and their receptors and the impact of genetic factors and restriction factors in HIV-1 infection. Besides, the group has developed a platform for the screening and characterization of new compounds against HIV-1 infection and neutralization assays. 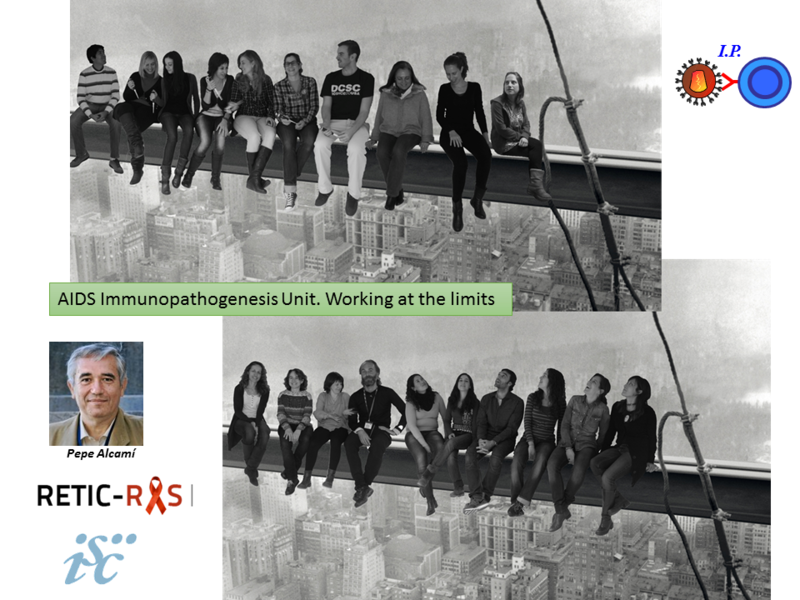 The AIDS Immunopathogenesis Unit is an open laboratory that participated in different scientific networks and collaborates with different laboratories including groups from JM Gatell at Hospital Clínic (Barcelona), Monsef Benkirane at CNRS-IGH (Montpellier), Carolina Herrera at Imperial (London), Greg Towers at UCL (London), Elisa Vicenzi and Guido Poli at USR (Milano), Roger LeGrand at CEA (Paris), John Mascola at VRC (Maryland), Zeger Debyser (Leuven), Bernard Lagane at Pasteur Institute in Paris and Fernando Arenzana from Pasteur institute (Shangai) among others. 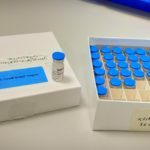 In the AIDS Immunopathology Unit, a central platform will be set up for the screening of neutralizing antibodies obtained through different immunogens in animal models and clinical trials. In addition, the researchers of the group will contribute designing new immunogens based on viruses transmitted during acute infection. This approach represents a new and original approach aim to define a new generation of immunogens to obtain a vaccine for HIV. A platform for the screening of neutralizing activity was created in 2010 based on an original system of recombinant viruses carrying a luciferase-reporter gene in which the full length (gp160) envelope can be cloned. This model allows the generation of replication-competent viruses able to infect cell lines, natural CD4 lymphocytes and macrophages. This technology has been described in Gonzalez et al. J Antimicrob Chemother. 2010;65:2493-501 and has been applied to different vaccine clinical trials performed at the RIS network (Garcia et al. J Infect Dis. 2005;191:1680-5; J Infect Dis. 2011;203:473-8; Vaccine. 2011;29:8309-16 and Mothe et al. J Antimicrob Chemother. 2015;70:1833-42). In collaboration with Dr John Mascola from the Vaccine Research Center at NIH we have incorporated to the lab different techniques for the epitope mapping of neutralizing antibodies in patients´sera that has allowed us to study the characteristics of these antibodies in different groups of patients with an “elite neutralizer” profile, including treated patients (Yuste et al. J Virol. 2011;85:5804-13), acute infection (Sanchez-Merino et al. J Virol. 2016;90:5231-45) and LTNP patients (Gonzalez et al, submitted). Besides, the laboratory is interested in viral evolution and in particular in the changes produced in the viral envelope along infection leading to a more efficient attachment to CD4, CCR5 and CXCR4 receptors. These elegant pharmacodynamis approaches have been developed in collaboration with the Viral Pathogenesis Unit at Pasteur institute (Colin et al. Proc Natl Acad Sci U S A. 2013;110:9475-80; García-Perez et al. J Biol Chem. 2011;286:33409-21; J Biol Chem. 2011;286:4978-90; Retrovirology. 2015;12:50). Currently we are characterizing the viral envelope of founder viruses through different virological, biochemical and bioinformatics approaches with the final goal of provide envelope prototypes based in transmitted-founder viruses eliciting broadly neutralizing antibodies against founder viruses. 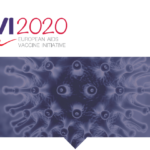 For more information about EAVI2020’s project partner Instituto de Salud Carlos III or about EAVI2020, please contact us.